Velvet Shoes to Swoon Over! 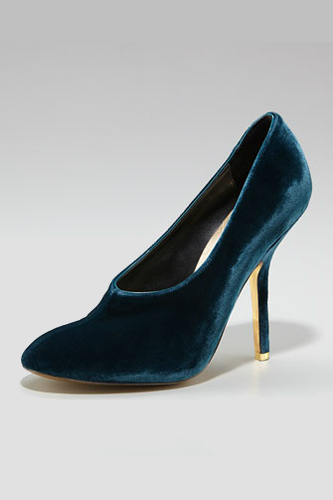 Home Fashion Obsessions Velvet Shoes to Swoon Over! The other night for on Birthday one of the things that my sweet husband did for me (after a long rainy day) was to rent some of my favorite fashion documentaries. Even though I had seen some of them, this man knows how much I love to curl up on the couch and get lost in the world of couture. Watching all those runway shows and editorial looks that I remember so clearly from the 70’s and 80’s (when I first entered the industry fray). Back in the 80’s one of my favorite fabrics to don was velvet. Call it the early days of MTV or maybe just the retro redux of the 50’s and 60’s that happened during that decade, but there was nothing like a good velvet LBD or a good velvet heel. It didn’t matter if it was a pump, platform or wedge… My closet was stocked full! After seeing taking a peek at Refinery 29 today I think I will definitely be re-living my past this season. 15 jaw dropping velvet shoe styles to make my heart go pitter patter. There are so many styles to choose from whether you’re a bombshell, downtown girl, bohemian babe or edgy rocker chic there is something for you. Take a peek for yourself and I am sure you will agree… these babies are divine! Here are a few of my favorites! These indigo platform heels are super chic with an edge by Messeca Coraline Velvet Heel, $169.95, available at Ashbury Skies. Straight out of the 80’s these teal colored heels are worthy of a 50’s pinup velvet heels. Luxury Velvet Platform Sandals, $116, available at Topshop. Who doesn’t love a red heel? These Michael Kors red cage version look great with skinny or tuxedo pants. Michael Kors Faye Velvet Wedge, $175, available at Michael Kors. The perfect spectator to dress up your business suit for an after work party. 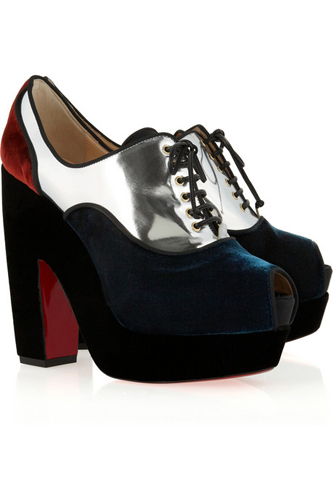 Christian Louboutin Leather and Velvet Ankle Boots, $572.50, available at Net-A-Porter. If you want to skip the tired and sore feel after a long day try a chic flat like these in indigo. 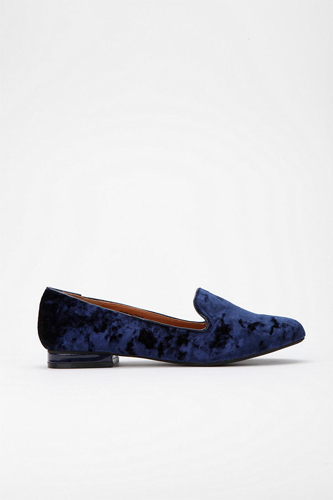 Cooperative Velvet Loafer, $34, available at Urban Outfitters. There is nothing I love more than a good ankle boot (buckles are always a plus) these work with almost any style. 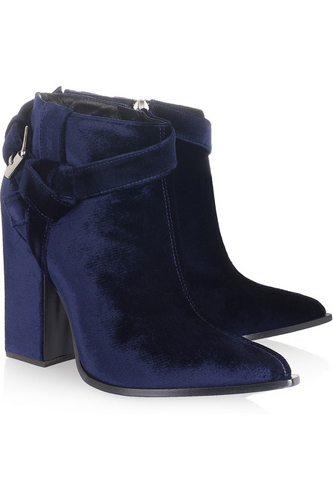 Thakoon Velvet Ankle Boots, $387.50, available at Net-A-Porter. These plush Doc Martens make me almost want to join the mosh pit…again. 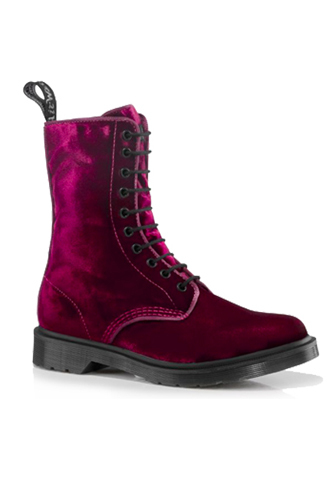 Cherry Red Velvet Dr Martens, $96, available at Dr Martens. These 50’s style pumps would make even Marilyn proud. velvet heels. Prowell Pump, $80, available at Aldo. These boots are one part bohemian one part urban edge. They work well with jeans and slim pants. velvet heels Vena Cava x TenOverSix Paco Boot, $326, available at TenOverSix. Topped of with a bow these sweet heels make the perfect match for any party dress. 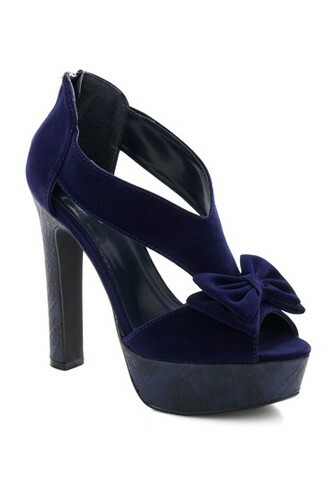 Industry Party Heel, $47.99, available at ModCloth.